Student Ambassador programs give individuals the chance to represent their country while traveling abroad. 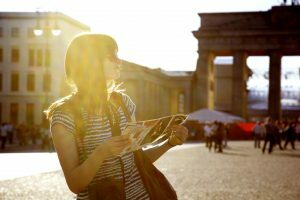 Although scholarships are sometimes available, travel and activity expenses can still be quite expensive. Student ambassador fundraisers are a great option for students who can’t afford all of the expenses that come with their program. Giving Bean is the perfect fundraiser to help individuals cover their travel and activity expenses while abroad. A group of students or one individual student can run a fundraiser with Giving Bean! Student ambassadors have a lot on their plate, so selling needs to be easy. That’s why Giving Bean offers a wide array of quality products that are easy to sell. We have gourmet fresh roasted coffee, custom blended teas, cocoa, chai, and shortbread cookies, so there is something for everyone! Giving Bean’s coffee fundraising program is extremely easy to start and run. We have preprinted order forms to hand out to sellers. We also have a special order entry system online, so there is no paperwork. Giving Bean offers a traditional fundraiser, where you will make 40% profit on everything you sell. We also have an online fundraiser where you will receive 25% profit. Our online fundraiser stays open year-round and is perfect for out-of-town relatives or people who’d like to repurchase coffee to support a student ambassador throughout the year! You can run both a traditional fundraiser and an online fundraiser at the same time and you can start whenever you’d like!